Rep. Matt LoPresti says Senate President Ron Kouchi is distorting the facts to help lobbyist Alicia Maluafiti win the election. A longtime lobbyist for genetically modified seed companies has enlisted the Hawaii Senate’s top brass to help her defeat two-term House lawmaker Matt LoPresti in their race for an open Ewa seat. Former Sen. Will Espero gave up his seat to run for lieutenant governor, leaving LoPresti and Alicia Maluafiti as the frontrunners for his District 19 seat in the Democratic primary Aug. 11. 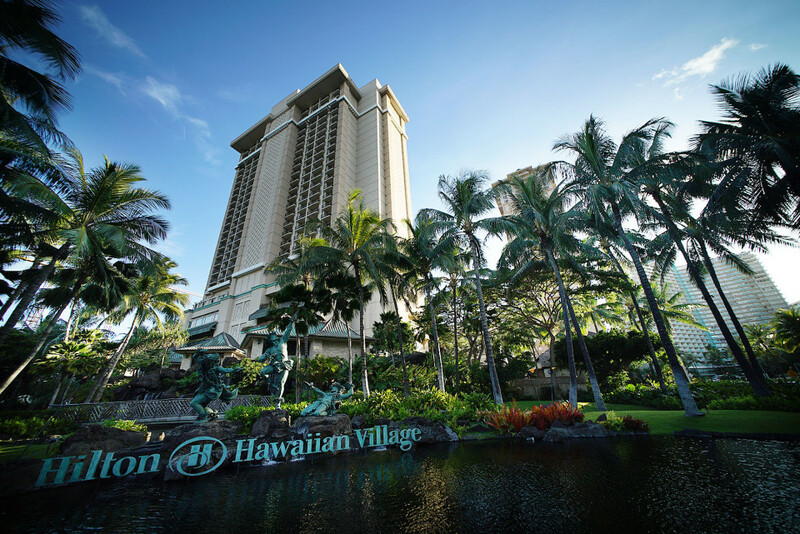 Maluafiti, who runs a taxpayer-funded nonprofit for pets in addition to her lobbying work, invited Senate President Ron Kouchi and Senate Vice President Michelle Kidani as “experts” to speak at a meet-and-greet event July 19 at the Hoakalei Country Club. But LoPresti’s campaign manager, Charles Izumoto, who attended the event, said Kouchi “flat-out lied” when he told the crowd that he had not received campaign donations from seed companies. LoPresti is also angry that Kouchi misstated how funding for cooling Ewa classrooms came about, and LoPresti’s role in it. Senate President Ron Kouchi and Vice President Michelle Kidani have thrown their support behind lobbyist and nonprofit director Alicia Maluafiti in her race against Rep. Matt LoPresti to fill Sen. Will Espero’s Ewa seat. Civil Beat was not at the event but obtained an audio recording that was verified by people who attended. Maluafiti did not respond to a message seeking comment Friday. Kouchi now says he wasn’t as clear as he should have been in his remarks to the group and apologized for any inaccuracies in his recollection of legislative action on air conditioning. Kouchi’s comments in question came moments after Maluafiti kicked out an anti-GMO activist who didn’t live in the Senate district. Jessica Mitchel, who supports LoPresti, said she wanted to attend the event to learn more about the issues Ewa residents care about. She said she intended to sit quietly and listen but Maluafiti immediately asked her to leave and threatened to call the police when she arrived. Mitchel made a scene, telling Kouchi “shame on you” for accepting campaign money from seed companies and then left on her own accord. In his remarks shortly thereafter, Kouchi said Mitchel was a “great example” of what’s wrong with the democratic process “if you don’t take time to do your research” and learn. “If she had looked at my campaign spending report — I’ve been around a long time, I’ve got a lot of friends — I have more than $100,000 in my campaign fund and I take zero money from the seed companies,” he told the few dozen people at the event. 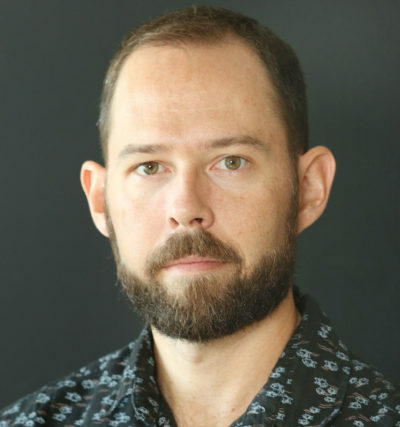 “I grew up on west Kauai where it’s ground zero,” Kouchi said, referring to the GMO companies that have operated there, such as Syngenta, Monsanto and Dow AgroSciences. Rep. Matt LoPresti said it is “astonishing” to see the lengths to which outside politicians are willing to go to try to get a pro-pesticide lobbyist elected. But state campaign spending records show Kouchi has accepted money from seed companies in the past. 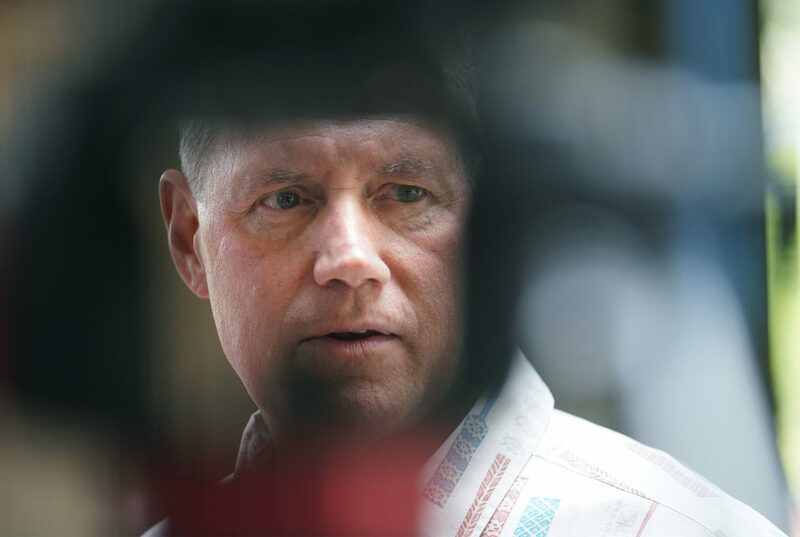 He received $500 in 2012 from Syngenta Hawaii and $2,000 from Monsanto between 2010 and 2012. Kouchi returned a $500 donation from Syngenta Crop Protection in 2014 a month after receiving it, campaign finance records show. In an interview Friday, Kouchi said he stopped accepting money from GMO companies by 2014 in response to requests from anti-GMO groups like Babes Against Biotech and to keep his voting record free of any perceived conflict going forward. 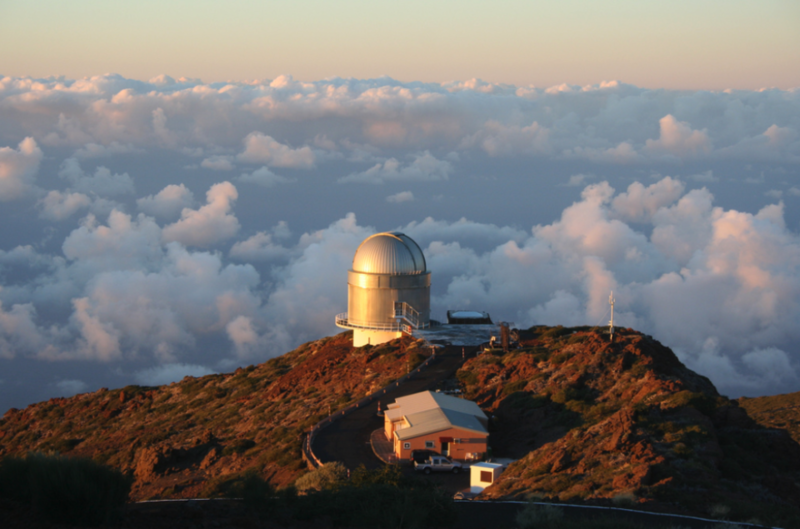 At that time, the Kauai County Council was hearing a bill to ban the biotech companies from spraying pesticides near schools, hospitals and parks as well as force them to disclose details about what chemicals they’re using. The issue divided the community and spurred hundreds of people to take to the streets in support and protest of the measure, known as Bill 2491. The issue has sparked similar debates at the Capitol over the past several years. Last session, state lawmakers banned the use of the pesticide chlorpyrifos, which some studies have found to be unsafe for public health, and established restricted use pesticide-free buffer zones around schools during normal school hours. Mitchel apologized in an interview Friday for not knowing Kouchi had quit accepting money from GMO companies; Kouchi did not explain it to the people at the event that way either. 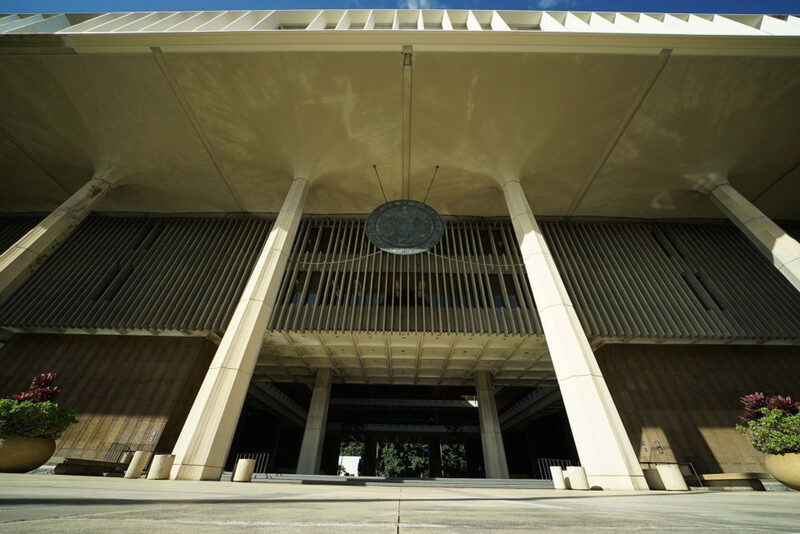 While that’s an improvement, Mitchel said, Kouchi has continued to accept campaign contributions from the paid lobbyists who represent the major GMO companies in pushing for favorable treatment by the Legislature. Those lobbyists have included the biggest behind-the-scenes players at the Capitol, such as John Radcliffe, George “Red” Morris and Bruce Coppa — who have all listed Monsanto as a client — and Melissa Pavlicek, a paid lobbyist for Dow AgroSciences. But they all lobby for a variety of unrelated companies as well and have given Kouchi’s campaign thousands of dollars over the years. 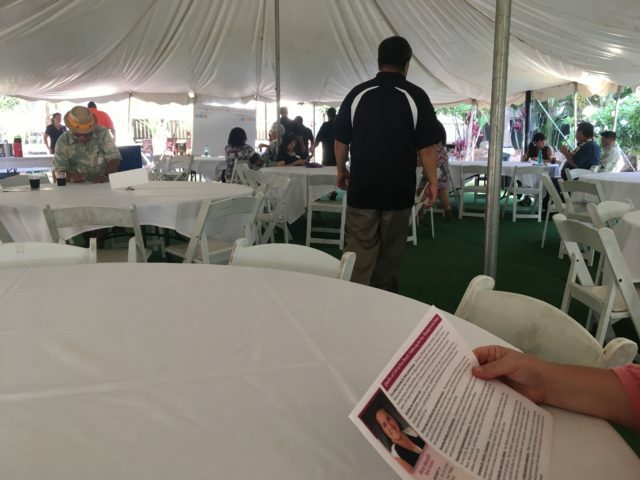 Alicia Maluafiti put on a meet-and-greet event at an Ewa country club featuring Senate President Ron Kouchi and Vice President Michelle Kidani on July 19. Maluafiti has given Kouchi money too. She donated $150 to his campaign in 2016. She was a registered lobbyist for the Biotechnology Industry Organization and the Hawaii Crop Improvement Association, a national pesticide trade group, from 2013 to 2016 and is listed in state records as a registered lobbyist for BIO and CropLife America through the end of 2018. The bulk of her own campaign fundraising has come from GMO company employees, the campaign accounts of Senate leaders, lobbyists and political action committees. 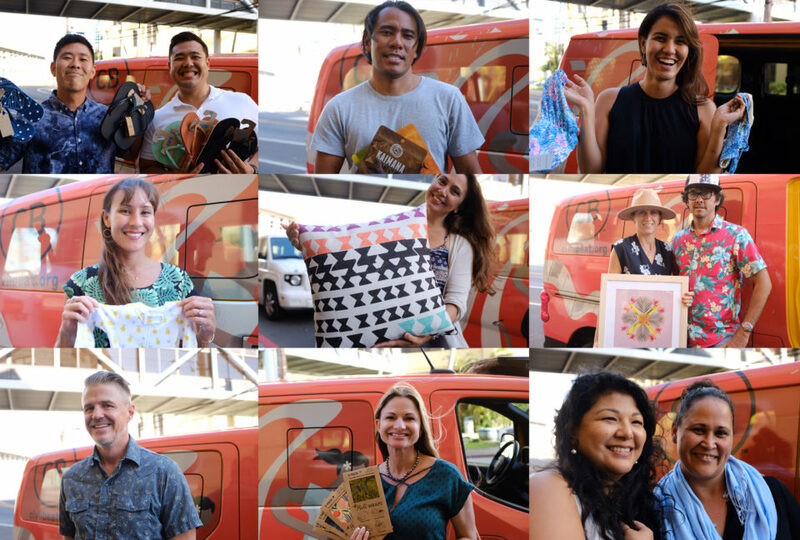 Maluafiti raised $19,850 overall during the first six months of this year, the most recent reporting period covered by records on file with the state Campaign Spending Commission. She had $3,950 cash on hand as of June 30, spending the bulk on campaign flyers mailed to voters’ homes. Kouchi and Kidani gave her a combined $3,000, and Sens. Glenn Wakai, Clarence Nishihara and Gil Keith-Agaran chipped in $1,750. Radcliffe donated $2,000 to her campaign, Morris gave her $1,000 and Coppa and his associate at the Capitol Consultants lobbying firm, Blake Oshiro, each gave $250. Maryland-based BIO lobbyist Eugene Harrington donated $200, Monsanto retiree Fred Perlak of Missouri gave $250, Monsanto Hawaii lobbyist Alan Takemoto gave $500 and Stacie Sasagawa, who works for Monsanto’s community affairs, gave $250. The Western Plant Health Association of California, which represents fertilizer and biotech companies, also gave $250. LoPresti raised $19,856 during the same six-month period. He spent about $4,300 and had $43,681 left in his campaign account as of June 30. He received his biggest contributions from unions, political action committees, retired military officers, attorneys and business people. Unite Here Local 5 gave LoPresti $1,000, IBEW Local 1260 donated $2,000 and the Hawaii State Teachers Association has contributed $750. Meanwhile, Steve Avilla, retired U.S. Coast Guard chief warrant officer, has given him $2,000 and Honolulu attorney Brian Mackintosh gave $2,250. Kouchi, who represents Kauai, declined to say specifically why he’s supporting Maluafiti over LoPresti but said when she asked him to support her campaign he said he would be happy to do so. LoPresti’s campaign is also questioning another statement Kouchi made at Maluafiti’s event, this one about legislative funding three years ago to provide air-conditioning at Ewa schools, among the hottest classrooms in the state. 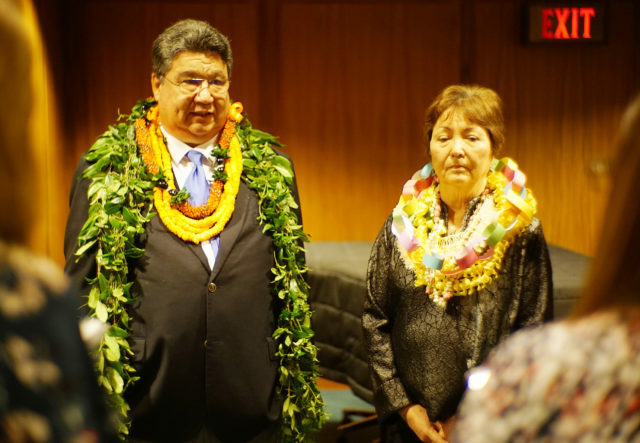 Kouchi told the crowd that as vice chair of the Senate Ways and Means Committee in 2015, he oversaw the capital improvement projects budget and was personally responsible for providing $5 million toward cooling Ewa classrooms. He said Espero came to him and identified it as his top priority, and that since Espero had been supportive of Kouchi, he supported his request for AC funding. 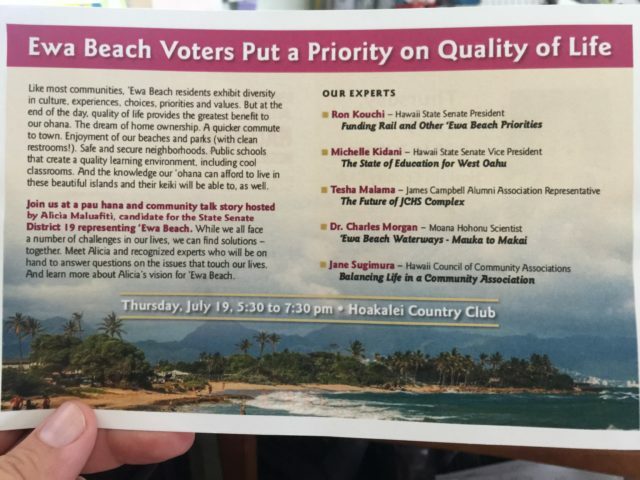 The July 19 event at the Hoakalei Country Club featured outside “experts” to talk about issues affecting the Ewa community. Kouchi said at the event that when the budget came over from the House it contained no funding for cooling classrooms in Ewa. “Anybody else trying to tell you that they are responsible for cooling the schools in Ewa in 2015 simply has their facts wrong and you are talking to the person, personally, to put the $5 million into the budget,” Kouchi told the crowd. But state budget documents show the House draft already included $4.6 million for AC at Ewa Beach Elementary School and $780,000 for AC at Ewa Elementary School, which is three miles down the road. The Senate budget draft removed that funding and put in $7 million for heat abatement at Ilima Intermediate. That school was outside LoPresti’s House district at the time but still inside Espero’s larger Senate district, LoPresti’s campaign said. 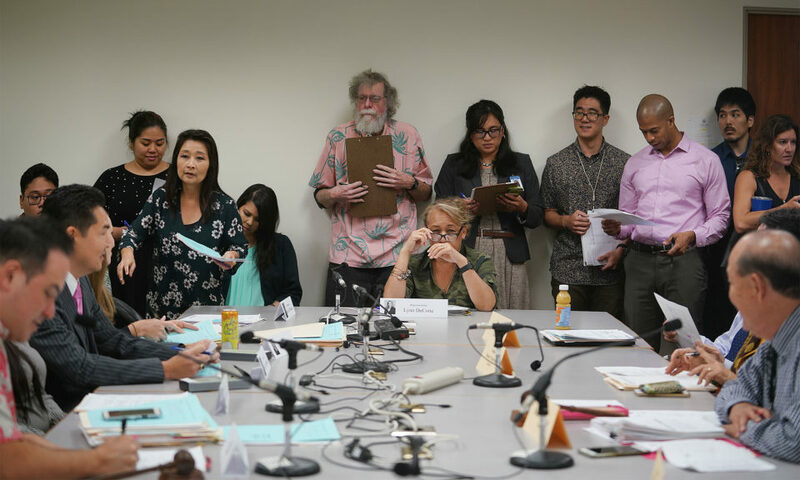 In the final CIP budget, the House and Senate agreed to provide $5 million for Ilima Intermediate and Kaimiloa Elementary for heat abatement, $2 million for AC at Ewa Beach Elementary School and $780,000 for AC at Ewa Elementary School. Kouchi, in an interview, said he did not recall the House draft including funding to cool down Ewa schools. 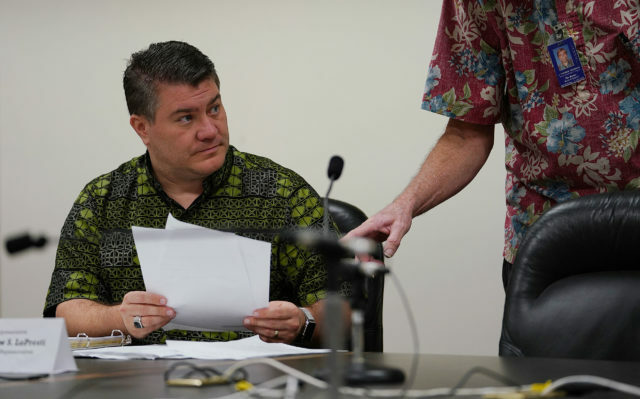 “If it did, then I apologize for it not being accurate,” he said, adding that he only remembered the $5 million that was included for Ilima in the final budget that he negotiated. LoPresti, in a statement Sunday, said he was disappointed in Kouchi’s remarks distorting the record. “It is particularly difficult to hear the guy who was personally responsible for removing budget items that I worked so hard to get into House versions of the budget come into my neighborhood and falsely take credit for them; but then he also lied about not taking money from certain groups – as if no one can read the public documents that show the facts,” LoPresti said. “But what is even more astonishing is the lengths to which these outside politicians are going to try to get a pro-pesticide lobbyist elected to our legislature,” he said.